On Sunday night, the New York Knicks came up very short against the Orlando Magic. The defeat dropped the Knicks down the 12th seed in the East, now maintaining a record of 4 and 10. More troubling, the team’s starting line up scored less than 20 points as a unit, with its top three scorers coming off the bench. While this may have seemed like a throw away game, the loss leaves one to ask if the Knicks have a big problem. When David Fizdale accepted the position as the Head Coach of the Knicks, the one caveat was that he was required to develop the team’s young players. In the last thirteen games he’s done just that. Several rookies have performed well and gotten a slew of minutes, as per the front office’s vision. However, it has all seemed for not as the Knicks are still well settled in the bottom of the conference. Of course, Fizdale is going to have to do what’s expected of him, but at another level there has to be a cost benefit analysis. Is giving everyone more playing time worth losing? Of course this assumes that the Knicks would break into the top eight if the rotation was different. Yet, anything can happen. 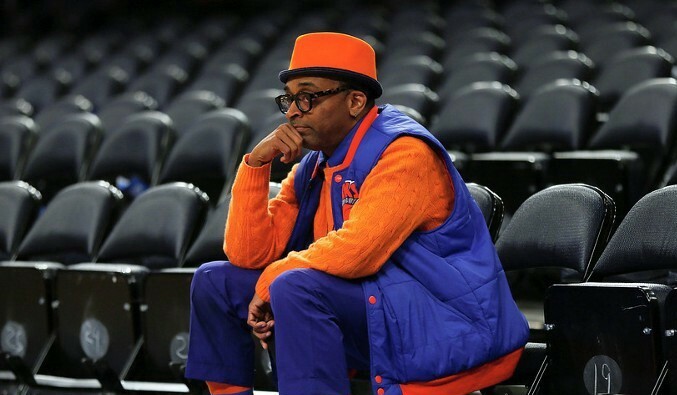 There is a very compelling argument that the Knicks have yet to play their best line up. That fact is particularly true since Kristaps Porzingis is still out with an injury. Additionally, Kevin Knox had a run in with an ankle injury as well, though he is back in the rotation. However, the time may be coming for the Knicks to put their best foot forward. A more successful line up, for the time being, would likely consist of Kevin Knox, Tim Hardaway Jr., and Enes Kanter. Rookies such as Mitchell Robinson and Alonzo Trier would also make good additions to the line up, at least until Porzingis return. Perhaps even adding Mario Hezonja temporarily could pay off, at least as far as scoring goes. While it is nice to distribute minutes evenly, the team needs to win and they can’t do that without a healthy and productive offense. If the starting lineup isn’t getting it done, the team really needs to take a look in the mirror. Time to Thin the Herd? The Knicks currently have 17 players on their roster. Many of those players have proven not as productive as expected. It could be beneficial to drop a few players down to the G-League for further development. However, the team may have to start getting rid of its dead weight. New York is holding on to players who are not really adding anything to the team’s winning capacity. While New York may not be keen to drop guys who “play hard,” the team’s focus needs to be on toughness and production. It could very well be the case that the team isn’t looking to make a playoff run this year or at the very least, just taking it easy until Porzingis returns. Even still, that logic does not warrant a lack of winning motivation on the part of the organization. The Knicks will have a chance at a rematch against the Magic on November 18. Before that, their schedule will pit them against the Oklahoma City Thunder and the New Orleans Pelicans. It could very well be the case that Coach Fizdale sees the writing on the wall and makes the applicable changes. If not, the Knicks may have to get comfortable at the bottom of the Eastern Conference until they can figure something else out.